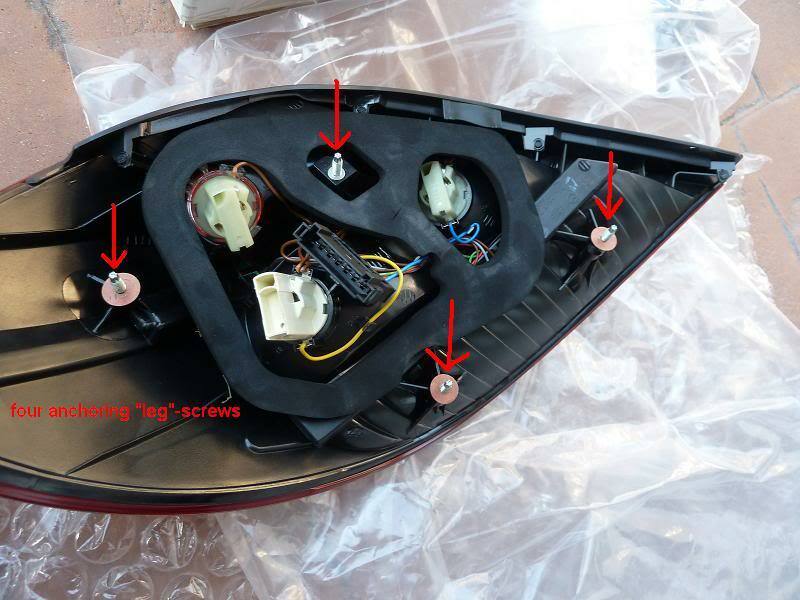 Thanks to Durkatlon for showing and explaining the procedure as we met this morning to remove ponia003's tail lamp assembly and install the AMG tail lamp (with the central horizontal smoked area). Credit goes to Durk for explaining and demonstrating the procedure, and to Dan for the demonstrator vehicle. What follows is mainly a supplement to the above 2 posts, and perhaps the accompanying photos will make the procedure clear. This is by no means comprehensive and does not replace what a skilled and trained authorized technician may provide. 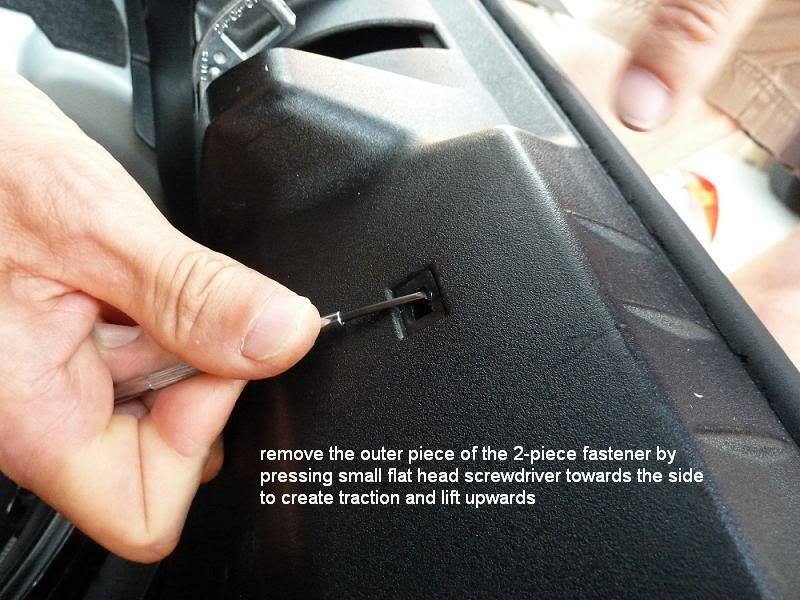 c. Remove 2 torx screws at each lower corner. These are covered (round). 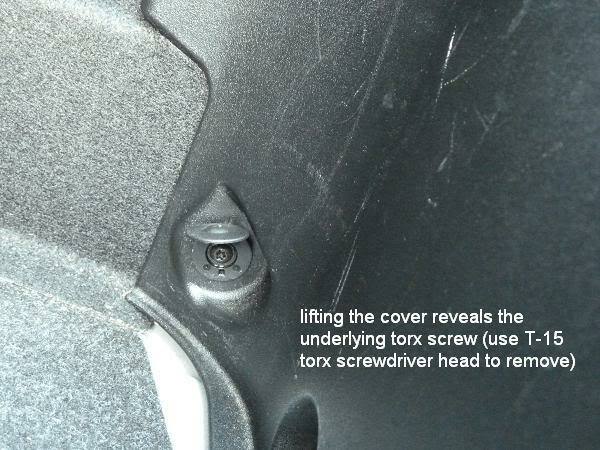 The covers are hinged open by using small flat-head screwdriver revealing the underlying torx screw. 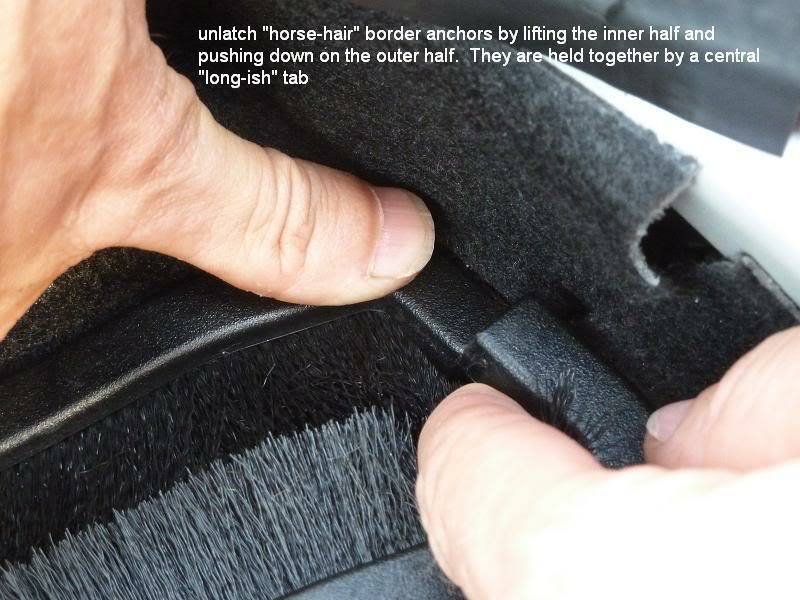 e. Loosen the rear of the rectangular "horse-hair" borders that "protect" the complex hinges of the trunk/boot lid. 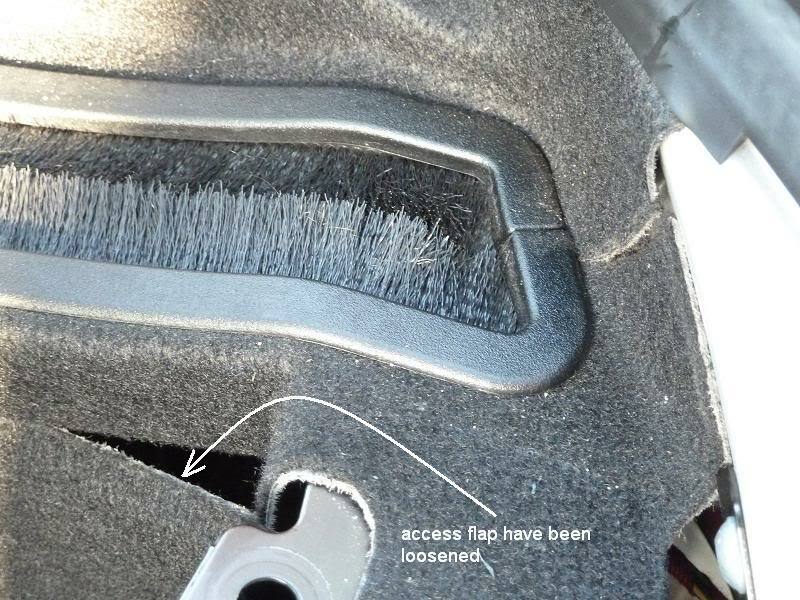 These are part of the furry inner lining at the sides of the trunk/boot space. Loosen also the panels that one opens to gain access to the rear of the tail lamp assembly, e.g., when changing out the turn signal lamp. 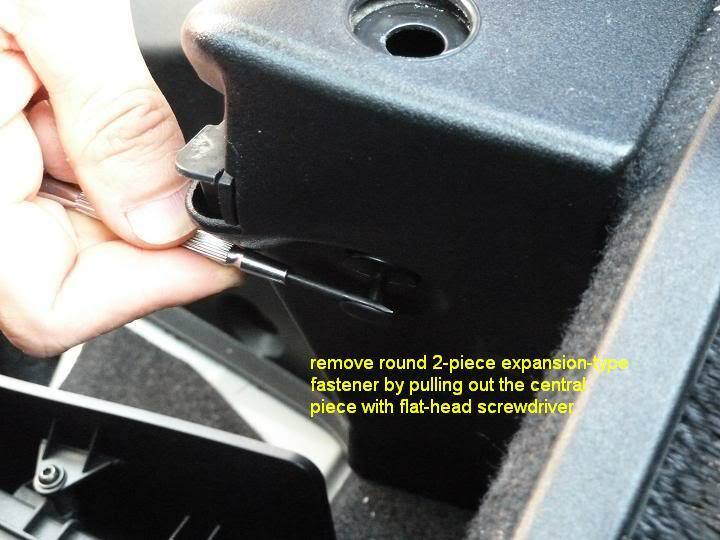 f. Remove the center panel by pulling the panel's RIGHT outer edge inward and upward to release one side from the compression fitting at the lower corner (I labeled them "legs"), a wedge tool may be handy but not really necessary. 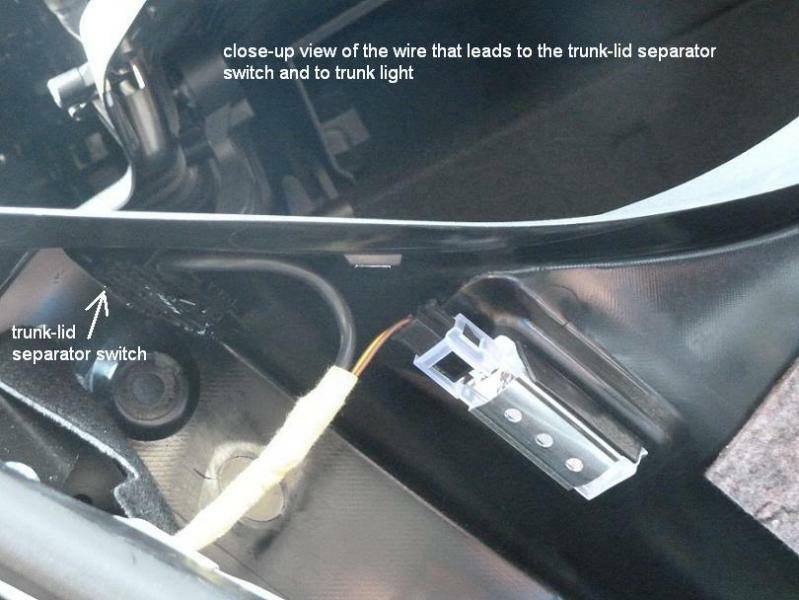 g. Once the right side is free, it will be easier to loosen and free the LEFT side but be careful as the wire connections to the trunk light (caution: hot lamp) and to the trunk lid separator mini-switch are still attached. Disconnect these once they are visible and accessible. h. Center panel should now be completely free. 2. 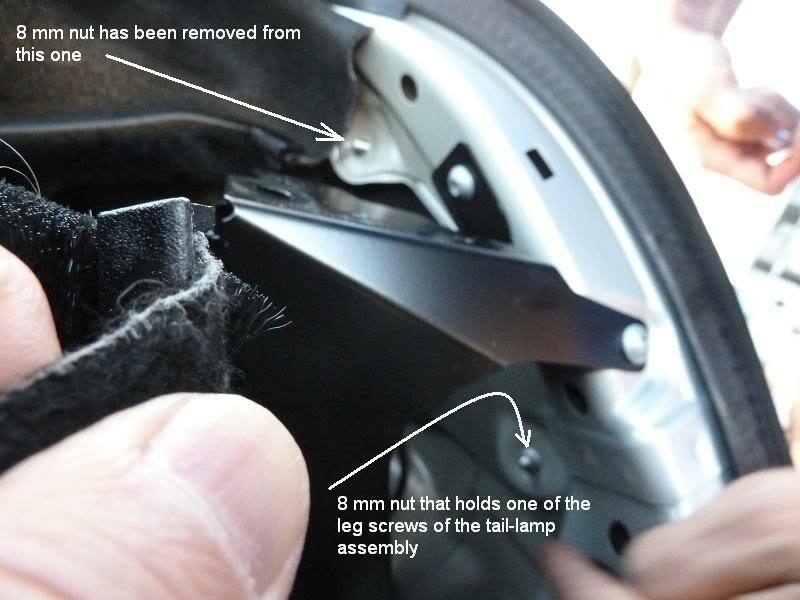 Remove the four 8mm nuts that fasten the tail lamp assembly to the body panel. As John stated, 3 are easily visible and the fourth is behind the furry panel but easily felt. Take great care in removing the nuts. 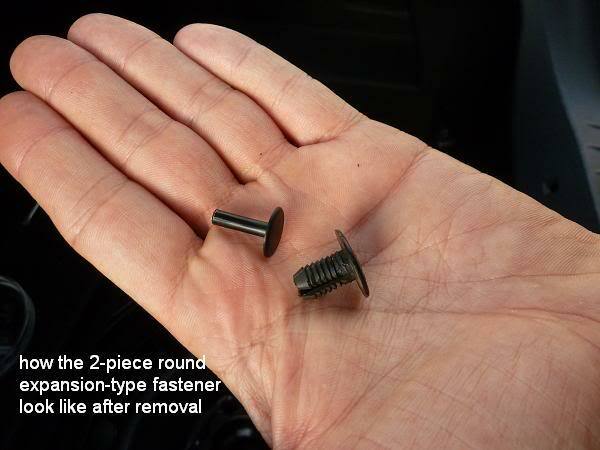 Loosen first with the ratcheting wrench, then use fingers to loosen and remove completely. 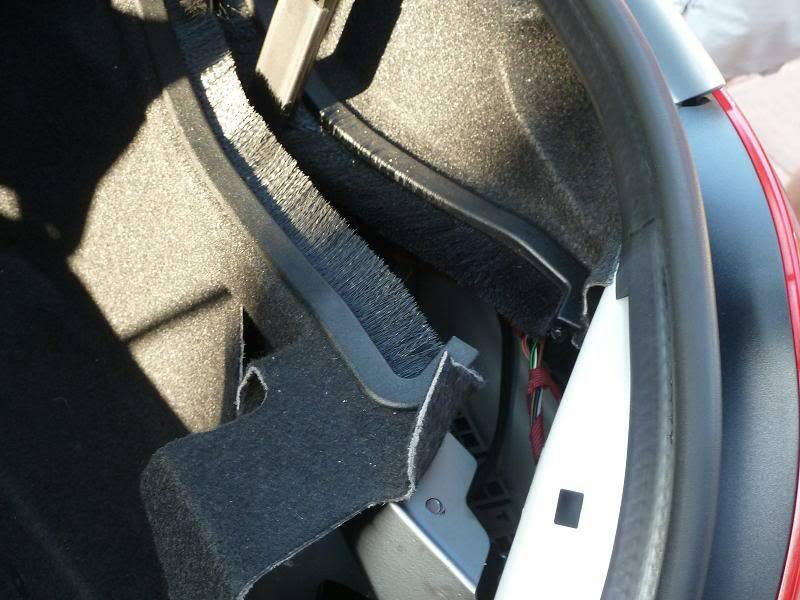 DO NOT drop these or they will fall into the deep recess of the rear body panel, never to be seen again. 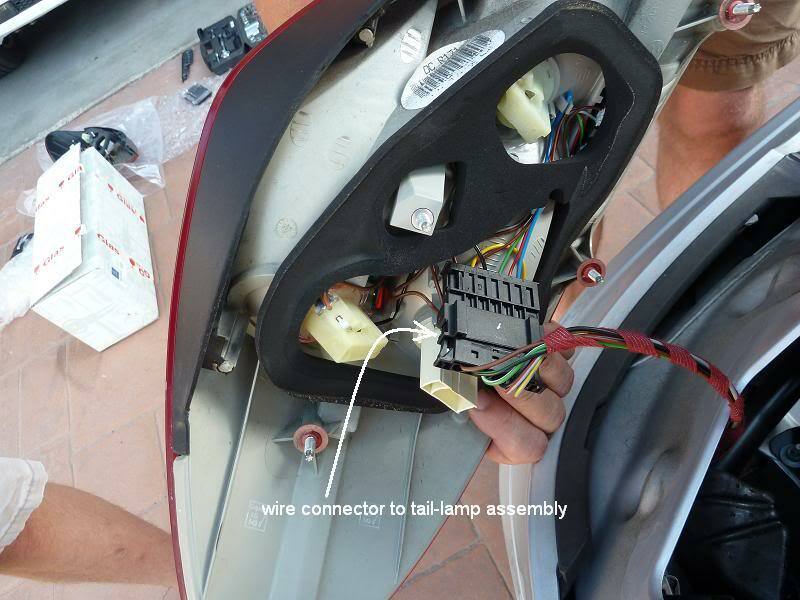 The tail lamp assembly can now be worked loose. 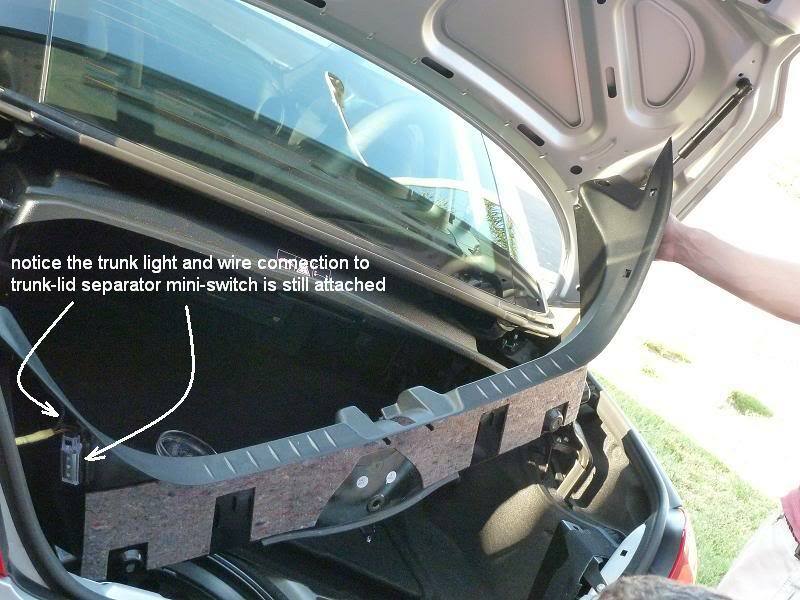 Disconnect the wire harness that clips to the tail lamp assembly. The coloured arrows point to those at the right side of vehicle, there is a corresponding left side. Remove center panel from the right side first, then left. One must loosen the compression fitting or leg that is at the lower corner by pulling upward and inward or use a wedge tool to loosen. What it looks like after removing tail lamp assembly. Notice the four holes through which the tail-lamp is fastened to the body. Hope the above is helpful and clarifies the procedure better. Assembly or replacement is of course the reverse procedure. Woolly, MrsSLK350, Durkatlon and 4 others like this. Last edited by jbanks15; 08-04-2017 at 08:22 PM. Awesome and great timing as I should be getting my conversion DIY for LED brightness and turn signal mod from Durk early this week and have emailed the seller of LED tail lights and hope to hear back shortly. Thank you for the additional pictures and narrative along with the the original posts. This will be my new go-to post for anyone with questions on the tail light install. Great write up Eddy. I had a good time learning about the car with you guys. Excellent and incredibly detailed writeup. I can't wait to put it to use and am sure it will be an easy job thanks to the efforts of you and Durkatlon. 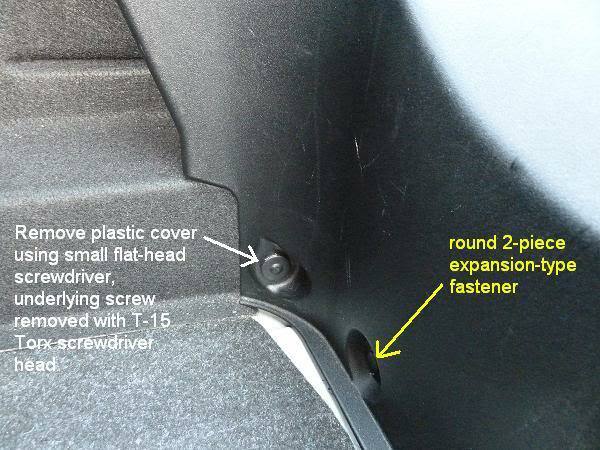 Is there anyway to include the part numbers to the photos? Just for extra clarification? It's just a suggestion. Thanks for the fantastic tip, replaced my rear tail light in an hour. This looks like a great post and could be helpful for me. I went to lunch the other day and noticed on arrival that my right side tail light was broken. I have no idea how this happened. I am guessing some nice person in a parking lot "kissed" the corner of my car and then left. Replacing the assembly looks like a pain, but should be easy enough. I have another question though, which might make me take my car to the shop. I have noticed that the plastic roof/lid protective separator no longer comes down and cleanly engages where it should. 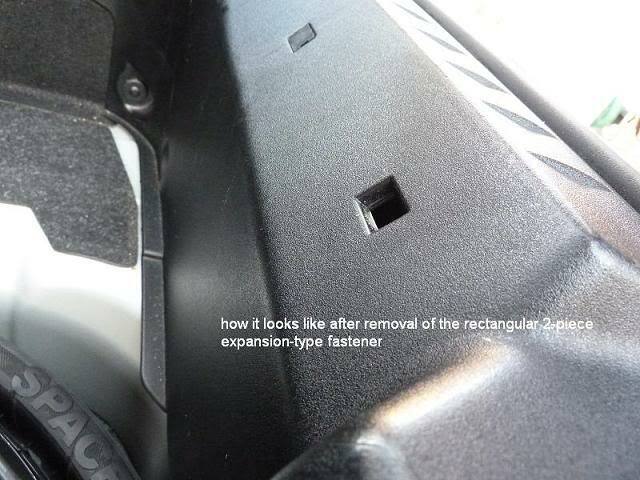 I also noticed that whoever hit my car, pushed the light back into the body a bit - maybe no more than 1/8" to 3/16". I do not see any body panel damage. Just damage to the light assembly. Light bulbs are still intact and work fine. I am wondering if the rear has been twisted a bit? Does this sound like a possibility? 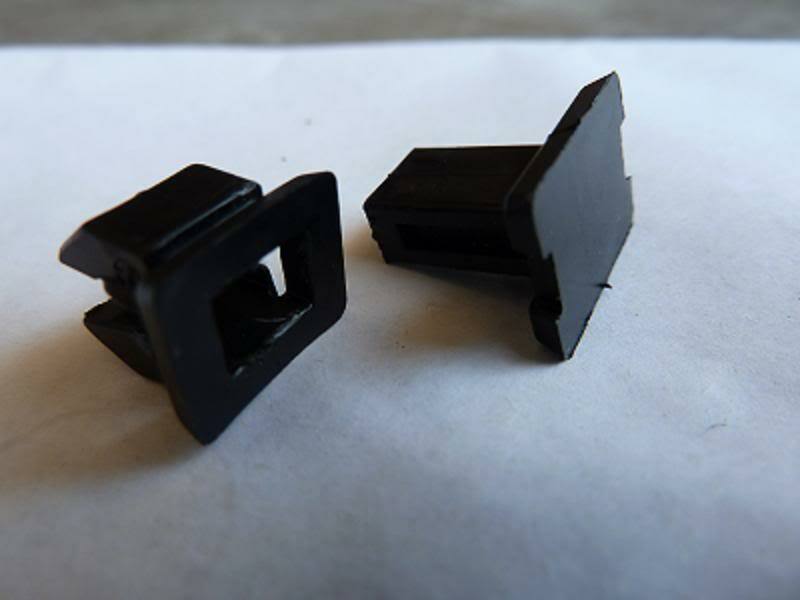 I'll be searching the forum more for replacement tail light part numbers. I am sure there are replacement recommendations. 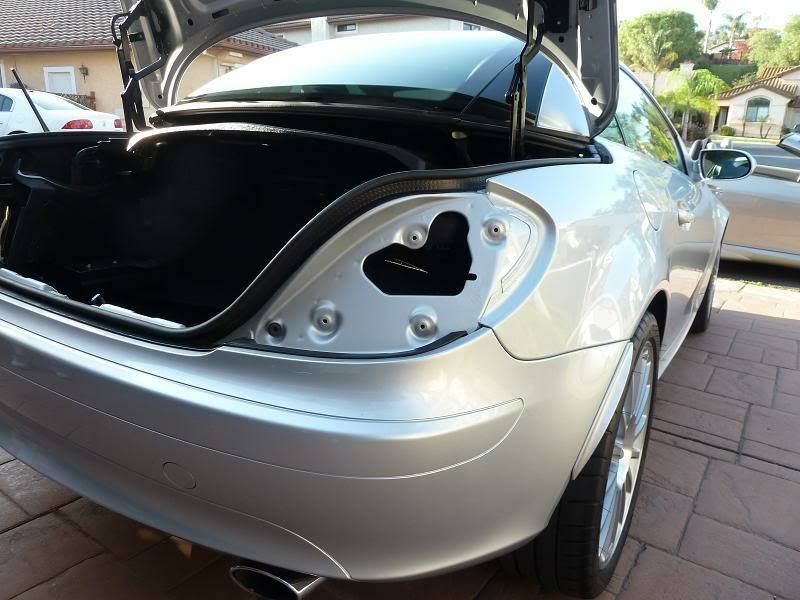 As you can tell from the picture of the SLK included in this DIY which shows the tail light removed, there is really no way for a tail light to be pushed into the body without the body panel warping. 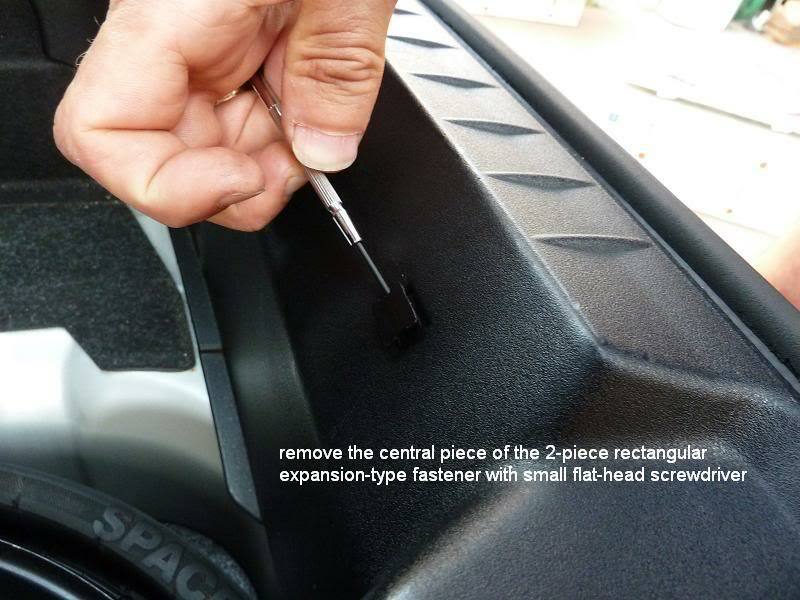 Since you mention that roof separator does not want to engage anymore, that lends additional credence to the idea that the body panel is slightly deformed in that area. It sounds like a trip to a bodyshop is in order. If you want to save money on the replacement tail light, you can actually get the original manufacturer version from Amazon. Here's the right tail lamp housing (CLICKY! CLICKY!) (non-AMG). Thanks Durk! Your post seems to confirm my suspicions. I guess my girl hasn't been to her favorite body shop in a while. Just not the time of year I wanted to have to do this. When I called the Benz dealer they wanted my VIN to ensure the correct part. Did these lights change during the 2005 model year? No, but there are 2 versions of the light, one for AMGs and one for everyone else. The difference being that the center section (which has the backup lights) is smoked on the AMG version and clear on the other one (the clear version being the one I linked from Amazon in my earlier reply). I remember that the dealership wanted $450 for a single AMG tail, which I subsequently picked up from Amazon for $300. So there's definitely some savings to be had. 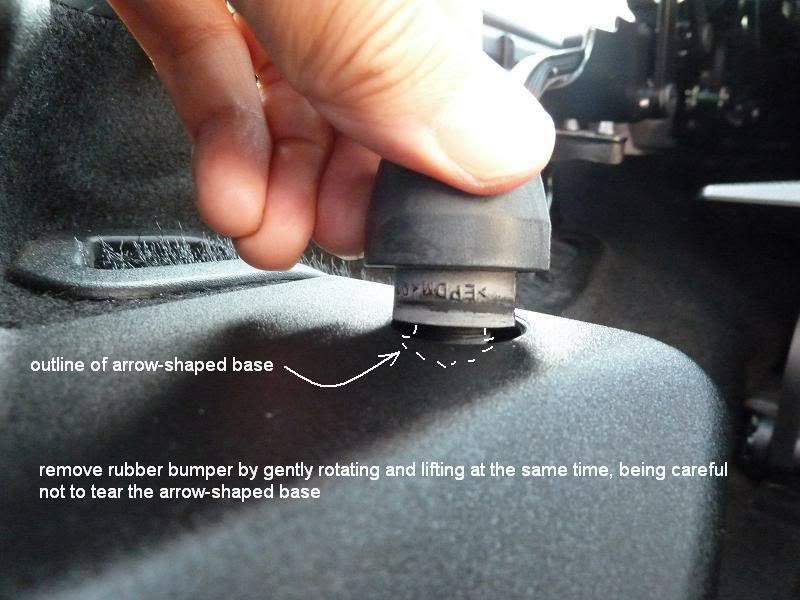 Moderators, is this thread worthy of a Sticky in the DIY R171 section? jbanks15 and LeftyS7 like this. Behold, the power of Jeff! Is it possible to change the side panel with out disturbing the roof . Yesterday I found one of my brake tail lights not working. Could one of you confirm the product below is suitable and reliable as replacement? I don't think those will work. 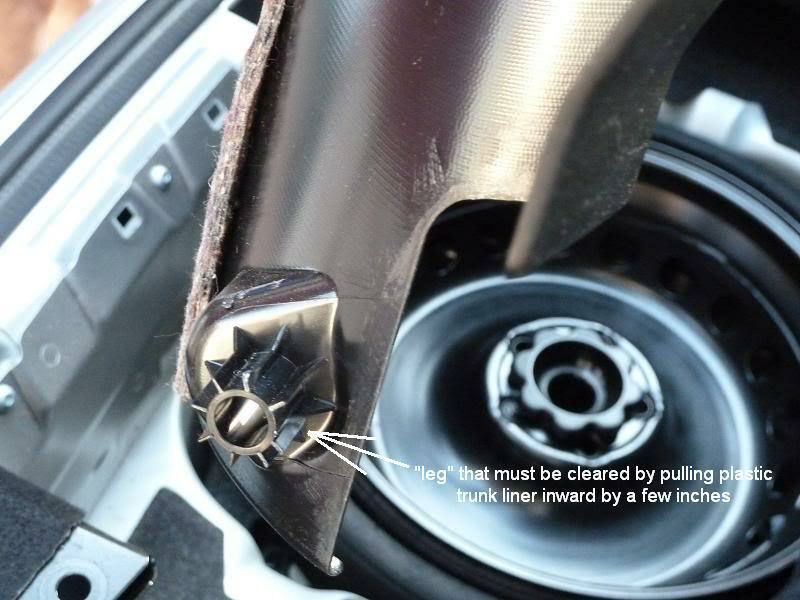 The tail lights on the R171 use a bajonet fitting where the two bajonet prongs are at a less-than-180-degree angle (PY21W a.k.a #7507) and only the "+" pin is sticking out the bottom (with the "-" being the body of the bulb housing). The bulbs you linked use a 180-degree bajonet and have both a "+" and "-" pin on the bottom. Additionally, after installing LED bulbs you need burn off the excess current through a parallel resistor. If the bulbs do not have this resistor built-in, the car will throw up a "bulb out" warning on the dash and turn the bulb off. You can remedy this by installing a resistor yourself, but this involves wire splicing etc, which you may or may not be ready to pursue. The eBay ad you linked says the bulbs run off less than 1W of power, which leads me to believe that these do not have a resistor built-in and will therefore give a "bulb out" warning. Very good point Durk, I believe you right. Those bulbs are advertised as SLK compatible by the seller... the usual ebay problem. 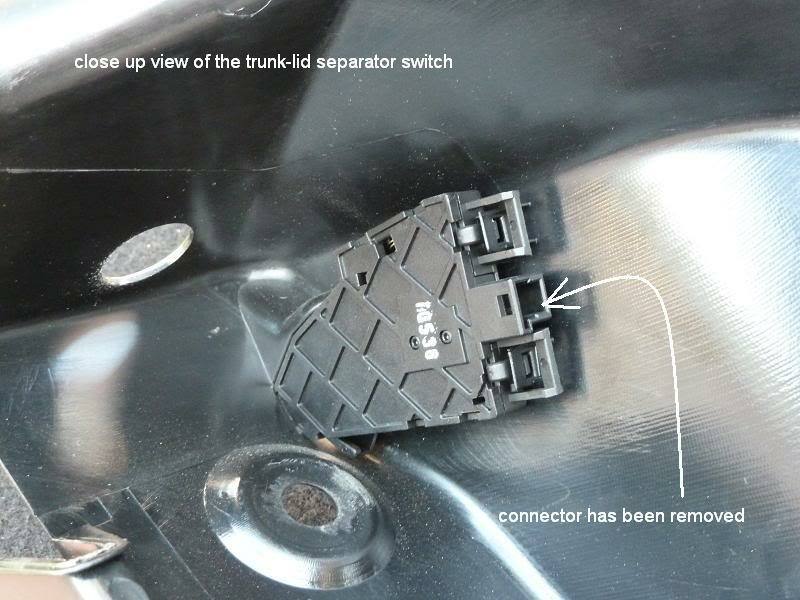 Would you have the part number for the Brake-tail bulb for an SLK 2009? I am new into SLK world and I find difficult to manage replacement parts, since I have no access to the part numbers until I take things a part. 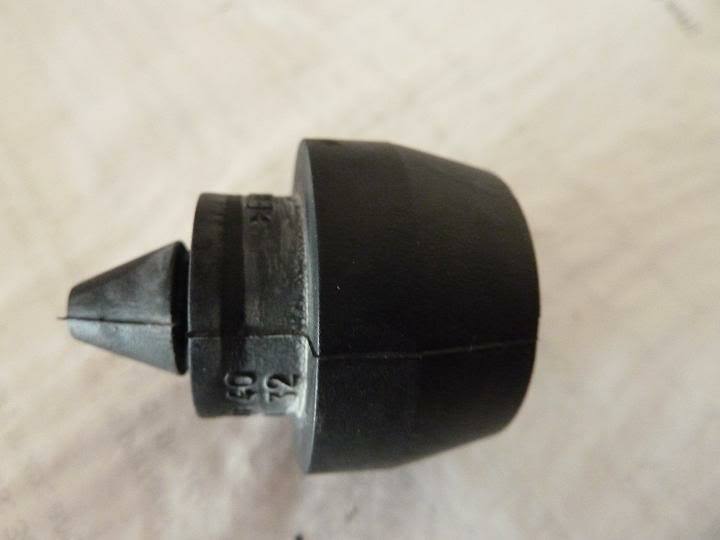 Any clues where I could get a hardcopy for the parts catalog? 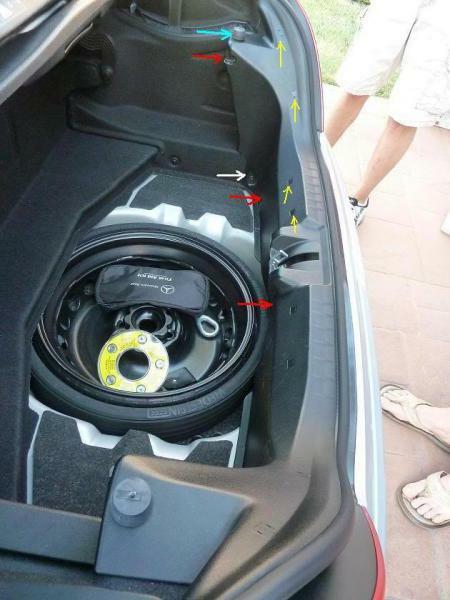 @fredmec00, A word of caution... using online parts references can sometimes differ from your own car's requirements, due to geographic differences. I used an online SLK R171 owner's manual to check what new front foglamp bulbs I needed for my 2005 SLK 55 AMG, and it suggested I needed HB4 bulbs (I think it was a U.S. version of the manual). However, in the UK, it appears that the front foglamp bulbs on my car are actually H7 type bulbs, so I had to reorder a different type of bulb! So, my recommendation is for you to check the hardcopy owner's manual for your car (or, at least, make sure it's one for your country's marketplace) to find out what bulb type you need.